Meeting with the organizers of this week felt very good, nurturing, and strengthening. Shambhala has many connections and friends in the greater community. It was good to be in a room and feel that many of us are longing for similar things. Themes of peace, kindness, and tolerance arose. One of the unique aspects of this week is the opportunity to visit sacred spaces in Halifax to observe, meet, and engage with diverse faith communities. All are welcome to participate in the sacred events. Enjoy hospitality, friendship, and refreshments. To find a printable poster that lists the Sacred Spaces Events please click here. New this year! In addition to the popular Sacred Spaces program, this year Interfaith Harmony Halifax is hosting a series of panel conversations on “The Many Faces of Faith” at 3 public library’s. Each of the public events will feature a panel of 4-5 people that will be made up of religious leaders. The panel participants will be asked to share their thoughts on questions related to the role of faith in their lives and communities. The format will be the same at each of the panels, however each panel will be very unique. The aspiration is these events can help to continue to foster meaningful Interfaith dialogue and relationships. I ask you to consider visiting another sacred space in our community or to show up to meet new people at events where we are involved. 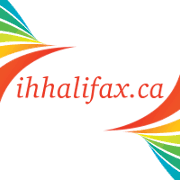 To stay in tune with the weeks activities you can also follow Interfaith Harmony Halifax’s Facebook page.